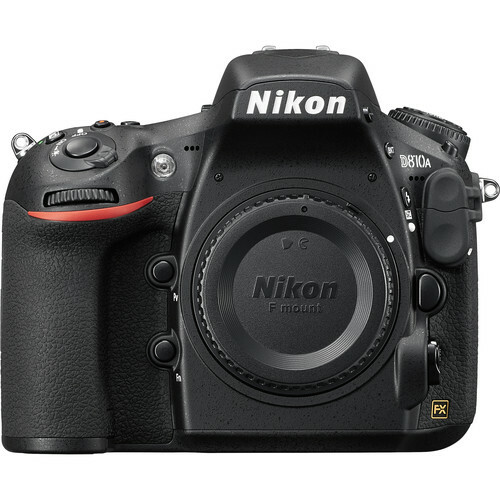 Nikon D810A mini review - what does an astrophotographer think? Where’s photography going next? To the stars, with the release of Nikon’s D810A. Nikon just announced the first full frame DSLR optimized for astrophotography and other scientific applications. “By modifying the infrared cut filter for the hydrogen alpha wavelength, Nikon has created a camera that gives photographers the ability to capture the diffuse nebulae in the night sky and to create colorful, breathtaking celestial images,” Nikon said in its Feb. 9 news release. “Based on the award-winning full-frame D810, the D810A records the brilliant red tones of H-alpha emission nebulae with a level of detail and sharpness, wide dynamic range and rich tonality almost unimaginable until now,” Nikon adds. In this move, rather than leapfrog over Canon’s 50 megapixel camera in the MP Wars v2, Nikon focuses on the market of astrophotographers. Just when I started ranting that the big two DSLR manufacturers were out of ideas, Nikon goes niche. What do astrophotographers think of it? I asked Frank Audet, the astrophotographer who presented Capturing the Aurora Borealis on our Free Photo Webinar. The filter part of the camera is interesting. It will render more natural colors in astro but will require compensation for non-astro. The longer shutter times are okay but nothing Bulb mode can’t do. Extra accuracy on exposure time when long exposure is not required — 90 seconds vs 91 seconds is not relevant compared say to 1 vs 2 seconds — which would double the exposure. The anti-vibration is a nice feature if it works well. One big show stopper for astro-photography is that, because of earth’s rotation, stars appear to move in the sky, thus making star trails. More than 30-40 seconds exposure does reveal trails... To fully benefit from this camera’s capability, you need to mount it on a tracking device, like telescopes, so the camera slowly moves and keeps composition the same. Then you will see no star trailing. That being said, someone who can spend $4000 on an astro-only DSLR probably already has those sort of capabilities.